The search for a missing 21-year-old student, who was last seen shortly after getting out of a taxi near to her home address, has entered its third day. Libby Squire disappeared late on Thursday night in Hull and police have said they are ‘extremely concerned’ for her welfare. A family member urged Miss Squire to come home, saying they were ‘broken without her’, and thanked those who had joined the search. "She is obviously loved by so many," they said. Miss Squire's family said her disappearance is ‘very out of character’, adding that she is ‘a very thoughtful and caring young woman who puts others before herself’. On Saturday, more than 70 police officers were out making inquiries, including knocking door-to-door around the area where the student vanished, in a bid for information. Miss Squire was reported missing after getting into a taxi outside the Welly Club on Beverley Road, Hull, at around 11pm on Thursday, and is believed to have got out of the vehicle a short while later near her home address on Wellesley Avenue. Humberside Police said that she was then helped by a motorist who pulled over after spotting her on the street, with the force adding that the man in question has since contacted them and has ‘really helped out’ with the search. Miss Squire was last spotted on CCTV on Beverley Road, near to the junction with Hayworth Street, at around 11.45pm on Thursday, the force added. 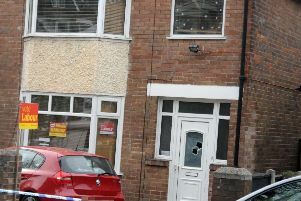 Police urged people living in that area to check their gardens and outbuildings in case Miss Squire had taken shelter. Anyone who was driving around the area between 11pm Thursday night and 3am Friday morning and has dash cam footage was also asked to come forward by contacting 101. Around 200 students were involved in the search of the university premises, which was organised by second-year Ryan Tweddell. He said: "It was great to see so many students turn out to support the search for Libby. "We can't believe the community came out in the numbers they did, it just shows how much people care. "Libby is a loving, down-to-earth, typical, normal student. She is hardworking, helps everyone who needs it and is a lovely, brilliant girl." In a statement, the University of Hull said it was ‘deeply concerned’ about the missing student.